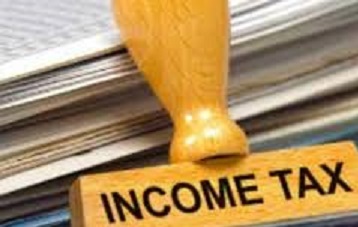 The Directorate of Income Tax (Investigation), Northeast region, Guwahati, has opened 24×7 control room and complaint monitoring cell in each of the seven states of the Northeast. The cell has been opened to check the flow of black money during the forthcoming Lok Sabha elections, reports stated. The Income Tax Department has requested the people to inform the Control Room about the movement of large amounts of cash or valuables during the election period which may likely be used for bribing of electors. The toll-free complaint numbers for the seven states are -18003453561(Assam), 18003453563 (Arunachal Pradesh), 18003453562(Manipur), 18003453807(Meghalaya), 18003453564(Mizoram), 0370-2240157(Nagaland), 18003453567/0381-2310072(Tripura). Complaints can be send by the seven states to the following mobile and Whatsapp numbers- 9531107891 (Assam), 9531107893 (Arunachal Pradesh), 9531107892 (Manipur), 9436394449 (Meghalaya), 9531107894 (Mizoram), 9401991258(Nagaland) and 9531107895 (Tripura). Earlier, a total of 116 officers and inspectors of the Income Tax Department has been deputed to the Directorate of Income Tax (Investigation) for the upcoming elections in the Northeast. The directorate has also issued deployment orders to 157 officials who will spread over Assam, Arunachal Pradesh, Manipur, Meghalaya, Mizoram, Nagaland and Tripura. These steps have been taken for monitoring the amount of total expenditure in the elections and flow of black money across 112 districts of the Northeast. The Directorate has also activated Air Intelligence Units at all airports in the Northeast and will monitor movement of cash or valuables.